As of December 17, 2012 1,525 men and women have taken Ed's One day Personal Protection Class. Consider taking my classes like you would consider purchasing life insurance. *One day Renewal classes(3.5 hrs classroom,30-50 rounds at range). Fee:$100. 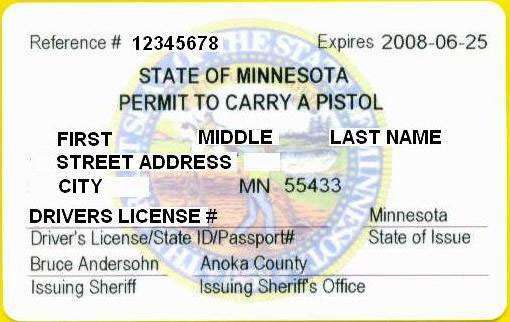 *Minnesota Permit To Carry-Concealed Carry Training. 4 hour CCW class. 5 year carry/purchase permit. Fee:$145. 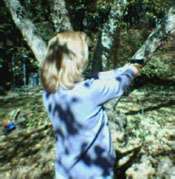 using steel targets from ShootingTarget7 LLC. Click here to view upcoming one day classes. The courses offered by Ed Garris are for adults 21 years of age or older. All courses are one day classes. All Fees must be paid in advance in order to hold your seat in class. Either by credit card online with my secure site registration or send me a check in the mail with your full name, address, city, state, zip, home phone and cell phone #. Upon course completion a CERTIFICATE OF COURSE COMPLETION shall be given to the student. PPM course locations, shooting range locations, dates & fee Info may be subject to change. Contact Ed Garris for Info. Upon completing Ed's Utah Conceal Carry class the student will walk out with the completed fingerprint card, a passport photo and a stamped conceal carry application. Ed was honored to participate in and complete the "Judicious Use of Deadly Force" course taught by Massad Ayoob. The course was mentally and physically demanding. Cops and lawyers who have taken the course agree that it goes well beyond the police academy and law school in the critical decision making arena of deadly force. Ed holds the following Disciplines. The permit to carry class is for students who already have reasonable proficiency with a handgun. Students who feel they may need training in the fundamentals of safety and marksmanship should enroll in our pistol class prior to the permit to carry class. This information is subject to changes, errors, and or omissions. 1 BCA, Bureau of Criminal Apprehension is a Department of the MINNESOTA DEPARTMENT OF PUBLIC SAFETY. "It is better to be Educated and have THE PERMIT TO CARRY and not need it than to need it and not have it." "Ed Garris has personally trained 1,357 past students since 2003"